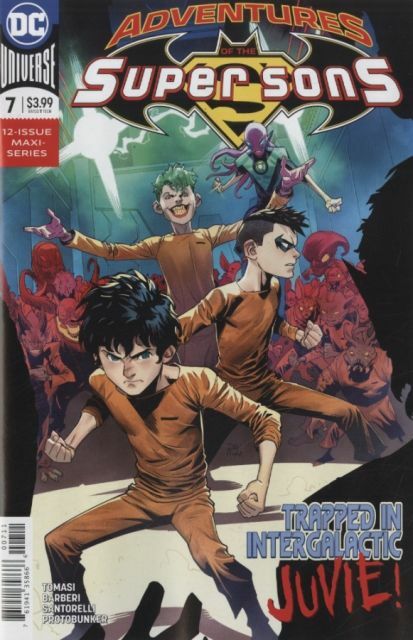 Locked in an intergalactic juvenile detention facility, Superboy and Robin meet the youngest...and meanest...Green Lantern ever! Well, sort of a GL. Mostly a GL. Really more of a trainee, but don't tell the bad guys, okay? Plus, Joker Jr. returns...the clown who may be the boys' last, best hope to stop the Gang!